Back in the day, converting your car to LPG was all the rage. It was a mechanics’ bonzana in 2006, when PM John Howard introduced a $2,000 subsidy for the retro-fitting of LPG tanks to petrol cars. At the height of the boom, there was often a six-month wait on orders for popular Holden Commodore tanks and conversion kits. But real life took over. The cost of LPG has been steadily climbing, and the subsidy was whittled away before being scrapped last June. So what’s the deal in 2015? Is it still worth converting your car, and what are the pluses and minuses involved? Cost: LPG is still cheaper than unleaded petrol, despite a trend for falling petrol prices and rising LPG prices to close the gap between them. While gas is cheaper, an LPG car will burn more fuel. Try the Elgas savings calculator to work out your savings. Reduced Emissions: It’s far more eco-friendly than petrol, reducing carbon dioxide emissions by about 35%. Engine Condition: There is a reduction in engine wear. Gas burns more cleanly than petrol, which in turn keeps the spark plugs and combustion chambers relatively free of carbon deposits. During cold-starting, too, LPG does not wash lubricating oil from the cylinder wall, potentially increasing the life span of the engine. Theft reduction: Fuel theft is reduced as it’s far more difficult to remove from the cylinder than it is to siphon petrol from a tank. 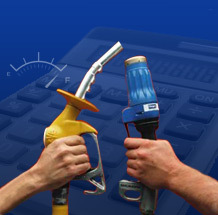 Cost: You have to factor in the conversion cost before you begin to see the benefit of fuel saving. Depending on the type of system preferred or needed, installation costs start at about $2,500 for a basic vapour mixer to $4,500 for a sequential injection system. Injection systems, though more complex, control fuel flow more efficiently, so giving better results. Rising LPG Prices: the gap between petrol and LPG prices is steadily decreasing, with LPG on the up and oil on the down. Check out the Are You Selling blog The Future of the LPG Car in Australia to explore price pressures and trends in more detail. Wear: There can be accelerated wear in the valve seat are of the engine in some cars. Fuel injectors and spark plugs have a tendency to clog up. Engine misfires are detected much more easily in LPG cars, rather than petrol cars. Availability of Gas: the number of service stations selling LPG has been steadily increasing in Australia, but some still don’t sell gas – especially in rural areas. Even where LPG is sold, there might be six or eight petrol pumps for every gas pump. When filling up, the nozzle has to be screwed onto the tank rather than placed inside, as with petrol, but you soon get the hang of it. 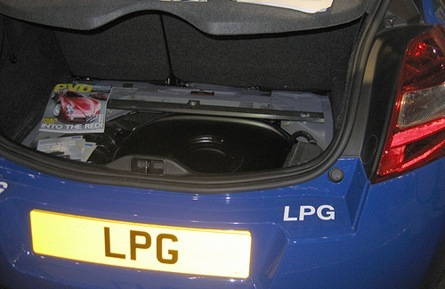 Vehicle Space: Installation of the LPG tank in your car boot can take up significant space, though new tanks tend to be smaller. Sometimes the spare wheel space is used, needing relocation of the tyre. In four-wheel drive vehicles the tank is installed under the floor, reducing ground clearance off road. Power: Most engines suffer a slight loss of performance when converted to LPG. This is mainly due to the compromises needed to use gas in an engine originally designed for petrol. Insurance costs: Some insurance companies may charge an excess for an LPG conversion – check with your insurer before it happens. Warranty: Some conversions may not be covered under your warranty – again, check before rather than after the fact. It’s generally no more expensive to convert to dual fuel than it is to LPG alone. On a dual fuel conversion – where the vehicle holds both petrol and gas tanks – the fuel range of the vehicle is increased, as long as both petrol and gas tanks are full. This gives you the flexibility of choice of fuel. There have been reports of more mechanical problems in duel fuel cars – specifically problems in switching between tanks – and higher fuel consumption than LPG conversions if not properly tuned. Will a Diesel Car Save Me Money?